In a pretty shocking turn of events, Conor McGregor took to social media to announce his second retirement from MMA. I’m not so sure that I believe this, but it could very well be real. 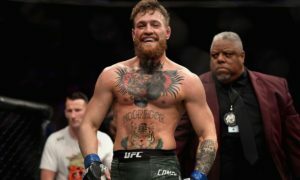 Currently, McGregor is suspended by the Nevada State Athletic Commission until April of this year for his part in a brawl following his main event loss to Khabib Nurmagamedov at UFC 229 in October 2018. Recently there have been lots of rumors surrounding who would be Conor’s next opponent. 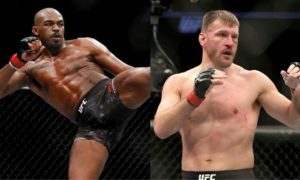 For a while, it looked like it would be Donald “Cowboy” Cerrone, but after the UFC reportedly wanted it to be the co-main event to a Heavyweight championship bought this summer, Conor backed out. I mean let’s be real, did Dana White really think the biggest pay-per-view draw in UFC history would be a co-main event? Not a chance. 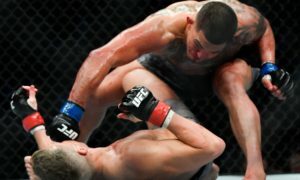 Even more recently, McGregor and longtime rival, Nate Diaz, had been having a nice little back and forth on Twitter and it was starting to look like fight fans might finally get the long-awaited trilogy fight between the two lightweight greats. In the last few weeks, Diaz tweeted these out. The first obviously a shot at McGregor with the shamrock emoji and landing a shot about his loss to Khabib. The second referring to the weight Diaz would want to fight Conor at. And of course, the Notorious had his response. Obviously, the two were acknowledging each other and igniting the rumor mill around a possible trilogy fight. Then, just ten days later, McGregor retired. I just don’t know if I buy it. Conor has done this before. Coincidentally before the second time him and Diaz met at UFC 202, which went on to be the highest selling UFC PPV of all-time, until McGregor-Khabib broke the record at UFC 229. Folks, we are dealing with an absolute marketing genius here. McGregor is the biggest PPV draw in the history of the sport and he knows how to drive interest not only around himself, but around the sport as well. The guy has been posting training photos on the regular for the past six months, he seems to be more motivated than ever to be at the top of the UFC. I know he is making handfuls of cash from his Proper Twelve Irish whiskey, but this guy is one of the most competitive fighters ever. So don’t be shocked if this is all a ploy to drive up the PPV numbers. I need to take the time to acknowledge the absolutely legendary career that Mystic Mac has had. He came onto the scene and dismantled the lightweight division. 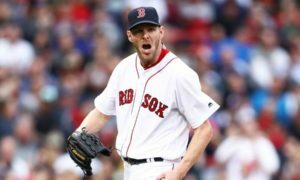 He literally transcended the sport. He was the first “Champ Champ.” He paved the way for the goal of all champions now. He helped bring in hundreds of thousands of fans and he entertained like no other. His only two losses in the UFC were to Nate Diaz, the first time they fought, and Khabib Nurmagamedov, who is considered the best wrestler in UFC history. Both losses were by submission. McGregor is a deadly striker and has the most wins by knockout without being knocked out himself (7). Probably the most impressive win on his resume was when he defeated Jose Aldo for the undisputed Featherweight title at UFC 194. Aldo was considered the greatest featherweight of all-time. Before the loss to McGregor on December 12, 2015, Aldo had not lost since November 26, 2005. In what is the fastest finish in UFC title fight history, McGregor snapped Jose Also’s 10-year and 18-fight win streak in just 13 seconds. This video is a clip of that championship fight from the documentary on Conor called, Notorious, which you can watch on Netflix and Youtube Movies. McGregor was also one of the best promoters the sport has seen. Chael Sonnen was one of the first major trash talkers in the sport. Conor took what Chael did and brought it to a whole other level. He is a master on the mic and would take every chance he got to get a good verbal jab in at an opponent. Press conferences during fight week and in the earlier stages of promotion (which are usually free for fans to attend, by the way) were must watch anytime McGregor would be there. Albeit most likely late, he would always show up. Some of the more memorable moments being him showing up late, Nate Diaz getting pissed and leaving and then the two throwing water bottles across the crowded room. My favorite part might be Dana White acting irritated when in his head all he was thinking about was the money this fight was going to bring in. Which it definitely did when it sold for a record 1.6 million. 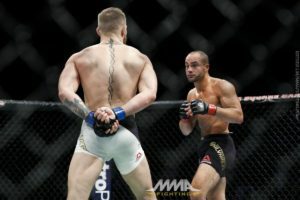 Another favorite moment of mine was when he held his hands behind his back in the middle of the second round in his Lightweight title super fight against Eddie Alvarez. 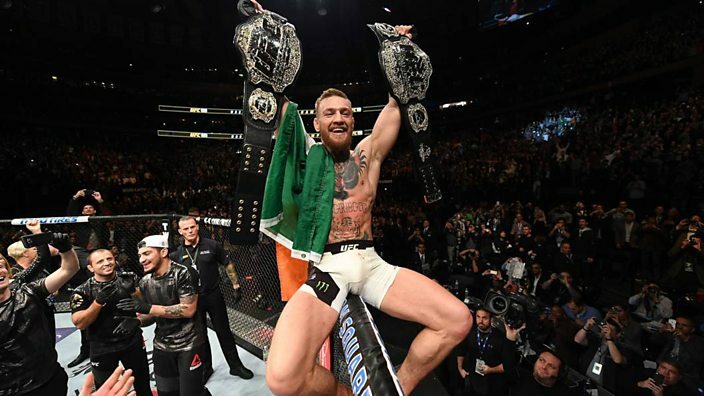 McGregor went on to knockout Alvarez a little over a minute and a half later to become the first fighter in UFC history to hold championships in multiple weight classes simultaneously. Even if this is for real and we never see McGregor in the octagon again, he left a lasting legacy as one of the most dominant fighters and one of the baddest dudes to ever walk the planet. The swagger, the trash talk, the Irish brogue, and the absolute destruction he left behind him, Conor McGregor is and forever will be a UFC legend.